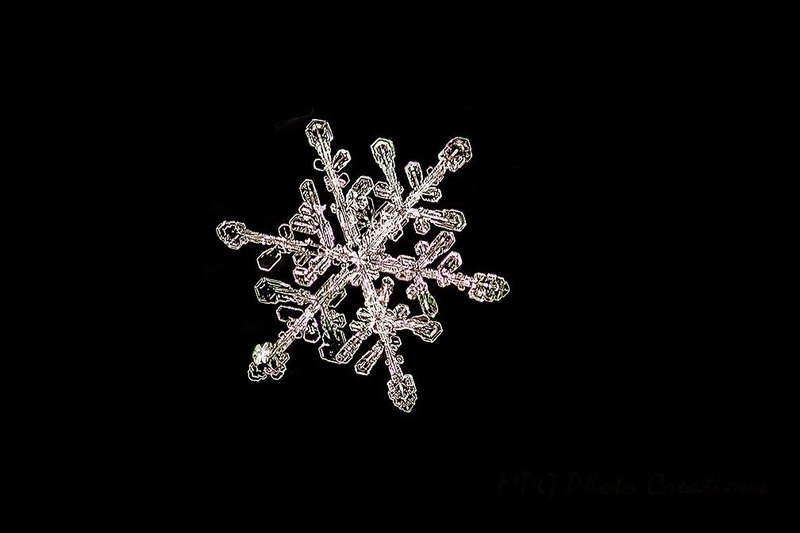 On Saturday morning it was snowing a bit so i went out to take some snowflake photos. Some beautiful little ones were falling and I was shooting away. I then realized that the ISO on my camera somehow had gotten out of wack and was way too high so my photos were over exposing. Ugh, I was not happy. I think I can get some results out of them with some work but not anything like they should be. 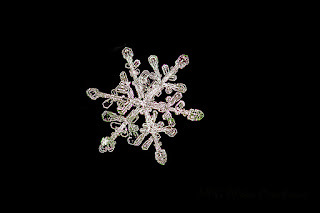 Anyway, after I fixed that I was lucky and a few more flakes fell of which this was one. I know I said I had shot my best one a couple of weeks ago, but this one tops it. It is 6 images focus stacked together. I am rather proud of it.